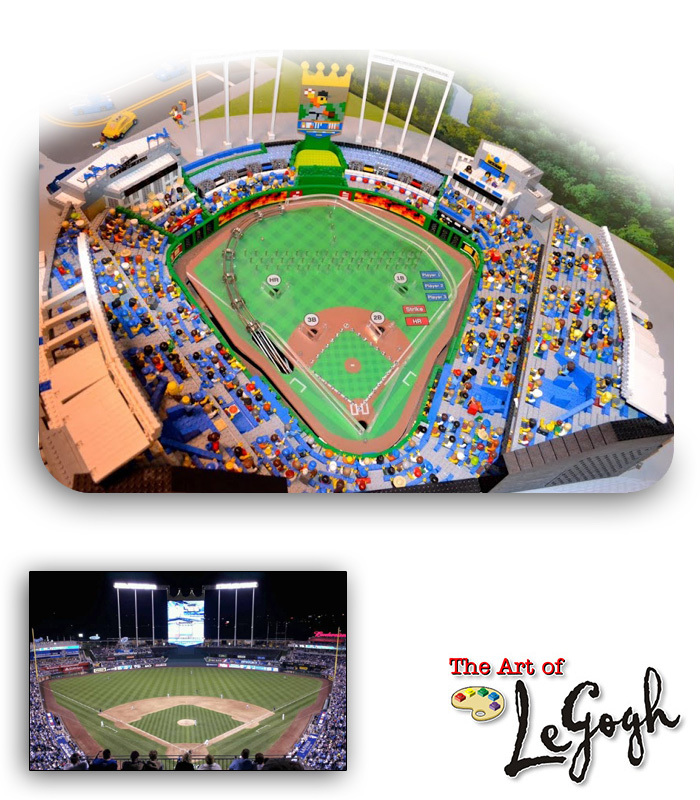 This is a replica of Kauffman Stadium in Kansas City, Missouri. Some of The World Series is being played there this year! Go Royals! I designed and built it for the LEGOLAND Discovery Center Kansas City.